Three months on the road! June 5th we had the closing of our stick and brick house and left. After a couple thousand miles, we are back close to the old home stead, parked on the South Carolina side of Lake Wylie. We are here to see doctors but will use this time to go through what’s left of our down-sized possessions and determine whether we really need them or not. We have kept a closet at a local self storage business that contained winter clothes and too much stuff we thought we would need or just couldn’t part with. We also need to go through all the compartments and the “basement” in Phaeth to do the same. 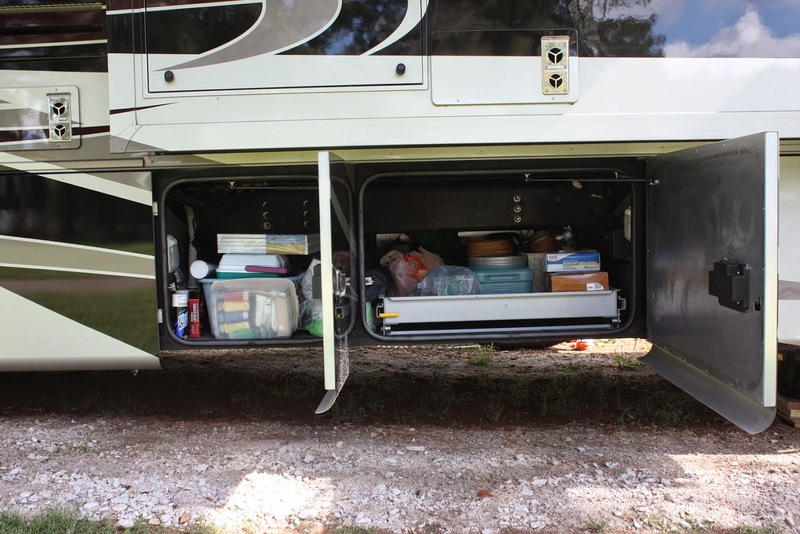 RVers call it "the basement" - the storage areas under the living area. "Stuff" can pile up in these areas and need to be "de-stuffed". No sense hauling around excess weight. We are having more fun than we thought we would have! If you have been following us, you know we have taken advantage of the sights, attractions and culture along the way. Of course being retired is a big help, too, in having the time to do these things. Making “memories” is way more important than having “things”. We have been able to see more friends and family in the last 3 months than we have in the last 3 years! Sharing good times with old friends and family is sort of a goal we have and we strive to do as much as we can and help others as we go. We have met a lot of new folks, as well. We have discovered the variety and diversity that God’s children are. We have met new friends and encountered “characters”, too. 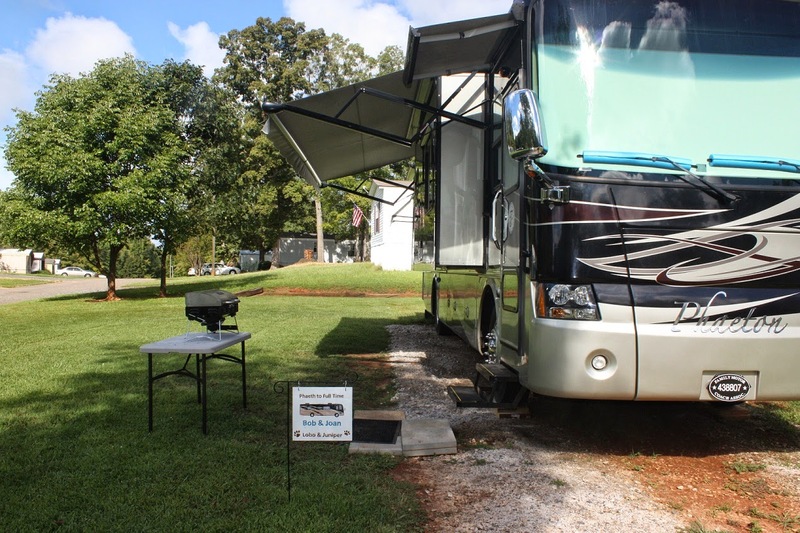 RVers come in all shapes, sizes, colors, creeds, and backgrounds but we all share this same community – we all have “the road” in common. There is a friendship and willingness to help one another that exists in the RV world that is not as readily obvious in other communities. 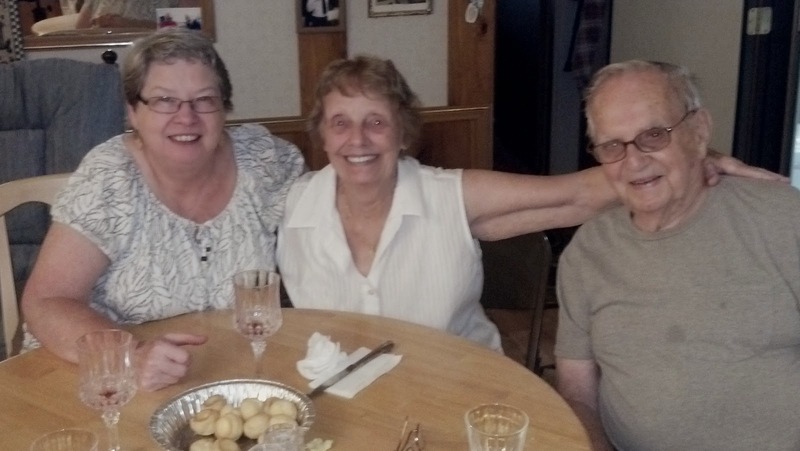 Visiting with Rose and her husband Wally recently in Lake Wylie, SC. 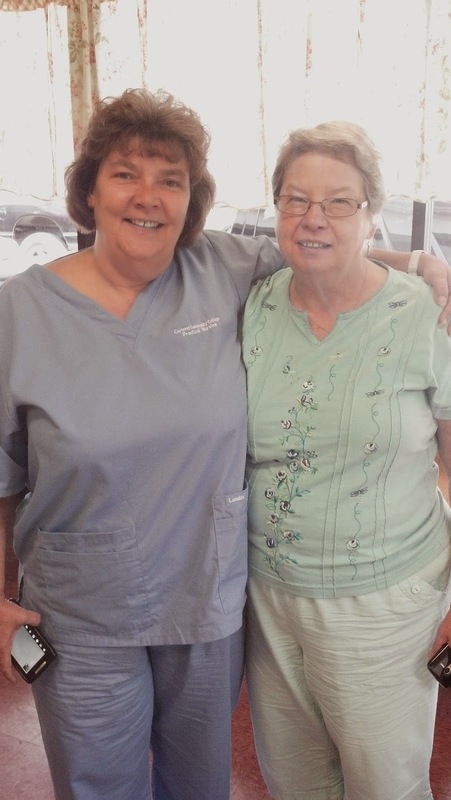 With Candle who is studying Nursing in New Bern is an old family friend. Day-to-day life on the road is meeting our expectations. We are becoming veterans of the RVing lifestyle. Our downsized domicile is very different from the old 2,700 square foot stick and brick. Daily chores require much less time. We boast that we can clean the whole house in 20 minutes. There is no grass to cut, deck to paint, weeds to dig. We don’t have to go to the mail box. There will be no snow to shovel (we hope). We can pull into truck stops with the big semis with confidence and efficiency. We utilize a check list that we go through before the start of each day on the road which makes handling all the systems that much easier. We try to be as courteous to other drivers as can be done safely and we have learned the un-written rules of the road that only come with many miles. We have successfully “backed-in” to camp sights but we are not yet becoming “cocky”. And we can dump waste tanks with the best of them. We enjoy quiet time. We sit in silence. We breathe easier. Our blood pressure drops with our anxieties. We allow the Peace to enter our home and ourselves. Lobo and Juni have adapted as well as we have. The dogs seem to look forward to new campgrounds. They seem to know that there will be a whole new set of “messages” to read. They perk up when they see us going through the “breaking camp” routine and wait anxiously at the door when we reach our new destination. They travel confidently. They are veterans, too. 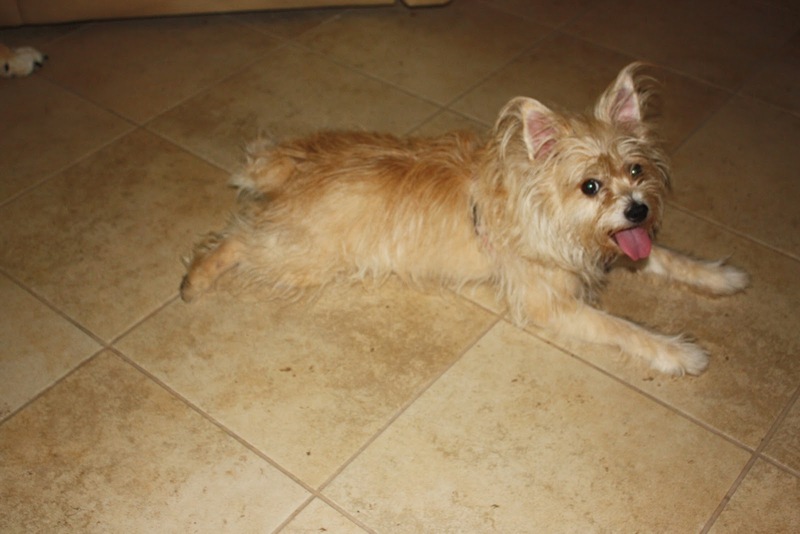 The cool tile floor is great place to recover from a long walk on a hot, humid summer day. Living in much closer quarters has brought us closer together! Someone will say, “Well, duh!” We spend more time together than we ever have. Yet we are not bored. We never seem to run out of topics to discuss. We “sense” each other; what the other is feeling without too many words. We finish each other’s sentences with love and kindness. We appreciate the qualities and talents of the other. We can sit and listen to one another in silence and peace. We hear the rain fall on the roof and know that the other loves the sound of it just as much.